Watch Mouse Sighted in Salem NY! Ed Hutchins sent in this picture of his Watch Mouse working in what must be Watch Mouse heaven. 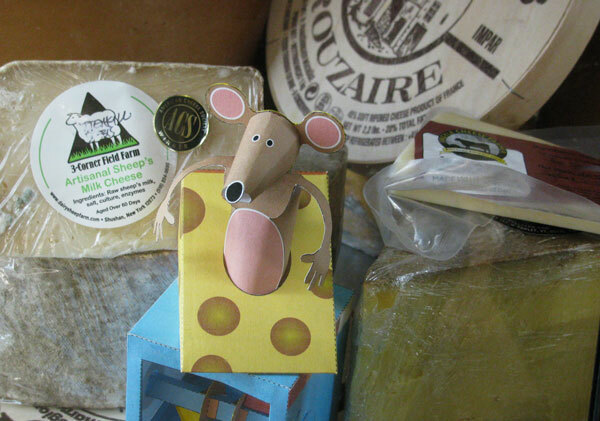 Sitting in the middle of the artisan cheeses at the Garden Works Farm in Salem NY, USA, he looks right at home! 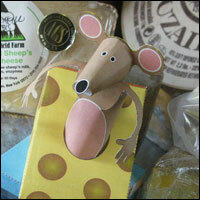 The Watch Mouse Guards the Cheese at the Gardenworks Farm.